If you experience errors when you log into Online Banking, please take a look at some common problems that occur. Online Banking will need to be configured to accept third-party cookies. Please see below to configure your browser. 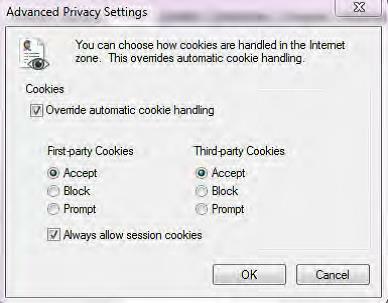 Check the boxes to “Override automatic cookie handling” & “Always allow session cookies”. Change the “accept cookies” option to ALWAYS. Make sure the ACCEPT THIRD PARTY COOKIES check-box is checked. Click on “Help” from the top menu and choose “About Internet Explorer“. The pop-up will display the browser version and additional information. 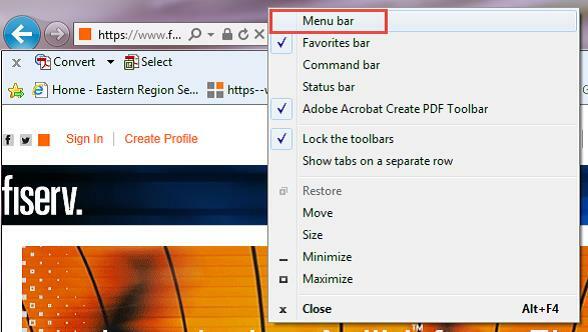 Pick “About Mozilla Firefox” from the “Help” menu to bring up a pop-up with the version information. Select “Settings” from the “More” button to bring up the “About” information. 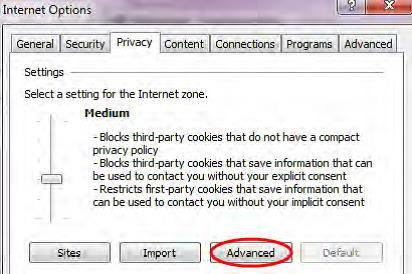 Use this procedure to clear internet cache, adjust cookie handling, and add Online Banking as a trusted website. 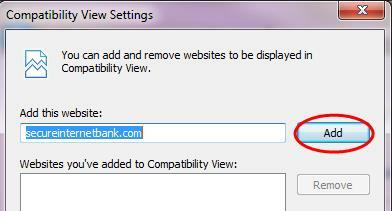 Adding secureinternetbank.com to your compatibility view will enable compatibility view for Online Banking. From your desktop, open Internet Explorer. On the General tab, click Delete in the Browser history section. 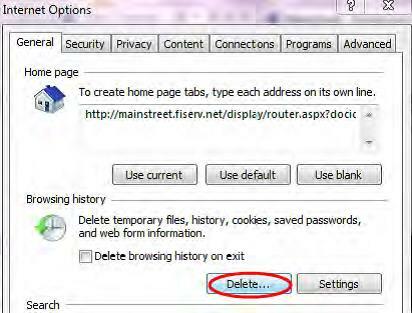 On the Delete Browsing History window, select the Temporary Internet Files and the Cookies checkboxes, verify that Preserve Favorites website data is selected, and click Delete. 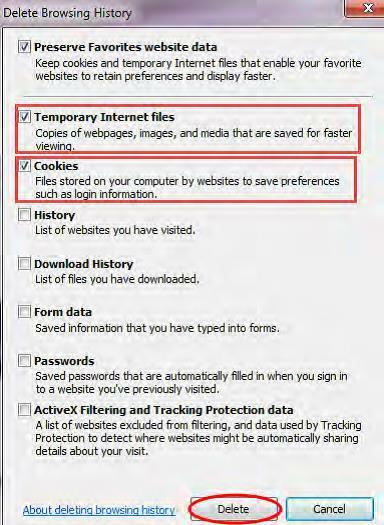 If the Preserve Favorites website data checkbox is selected, you will keep cookies and temporary internet files that enable your favorite websites to retain preferences and display faster. From the Privacy tab, select Advanced. 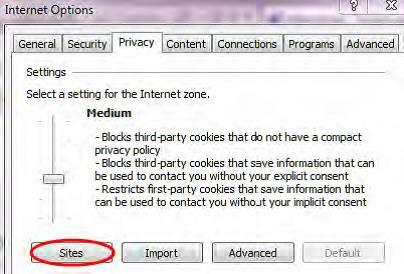 Select the Always allow session cookies checkbox and click OK.
From your desktop, open Internet Explorer and select Internet Options from the Tools menu again. Select the Privacy tab and click Sites. Enter secureinternetbank.com in Address of website and click Allow. Secureinternetbank.com will move to the Managed websites section and will be set to Always Allow. Close all Internet Explorer browser windows and re-open a new browser window before attempting to log in to Online Banking. Use this procedure to activate the menu bar, and then add secureinternetbank.com to your compatibility view settings. Opposite-click anywhere in the space at the top of the window, above the address bar. The different toolbar options display. Select Menu bar if it is not selected already. The horizontal Menu bar displays. The URL should begin with https://web15.secureinternetbank.com. 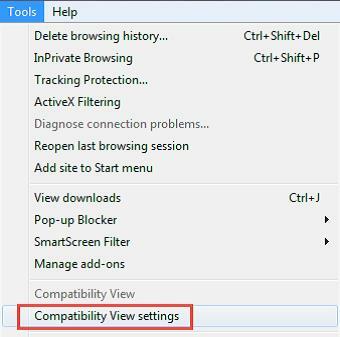 Select Compatibility View Settings from the Tools menu. 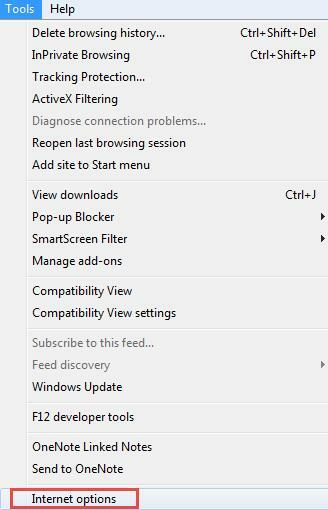 Click Add from the Compatibility View Settings window. Secureinternetbank.com will move from Add this website to Websites you’ve added to Compatibility View. For issues with Online Bill Payment please call 1-866-820-9613 for assistance. For continued issues please call First Federal’s Online Banking Support at 910-891-2010 or 1-866-871-7926 during normal business hours.